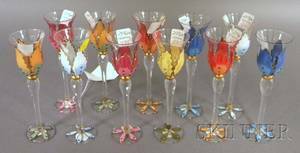 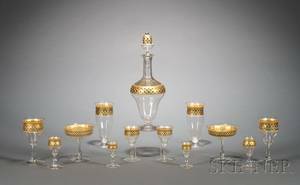 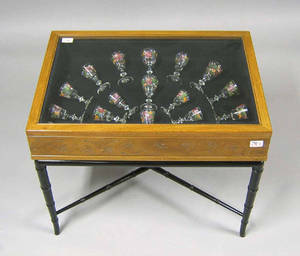 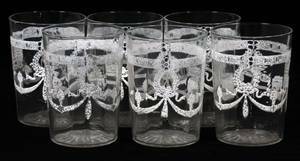 Nineteen enamel decorated glasses, together with a mahogany vitrine. 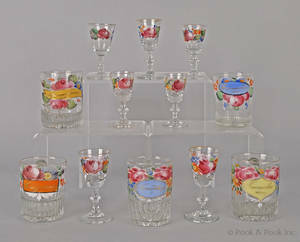 Provenance: The Estate of Anne Brossman Sweigart, Ephrata, PA. 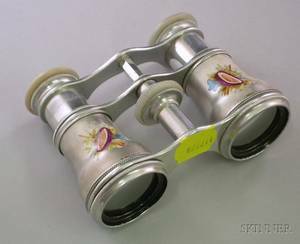 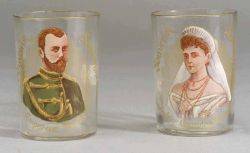 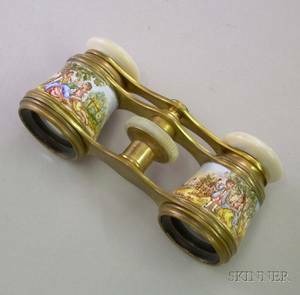 Pair of German Enamel Decorated Opera Glasses.